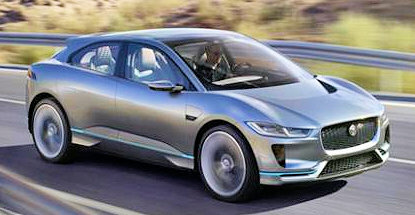 Jaguar has unveiled the I-Pace Concept – the company’s first all-electric model – which is due to go on sale in 2018. The EV SUV has a range of more than 300 miles (500 km) thanks to a 90 kWh battery. Set to be officially launched at the Los Angeles Motor Show Wednesday 16th November, the I-Pace was revealed to the public in a world first cross-continent Virtual Reality event. Further details will be revealed at the motor show launch, but the I-Pace is confirmed for production in 2018.